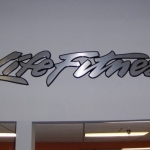 Creative Surfaces worked with S&J Enterprises on this Custom Designed Signage project. 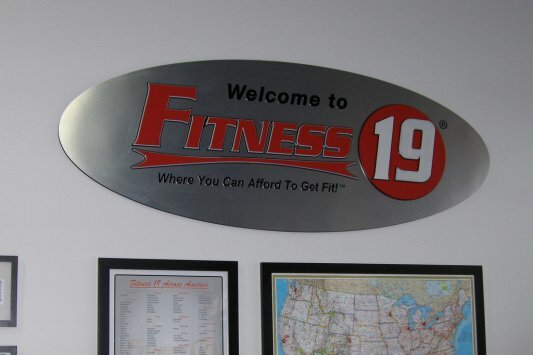 We did all the signage for the Fitness19 club. 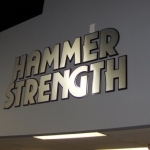 The wall logo was cut on our state-of-the-art large scale laser out of Chemetal. 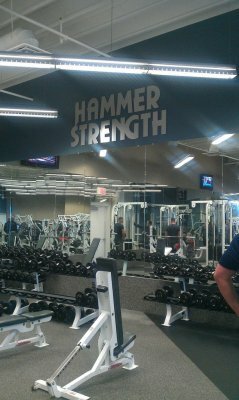 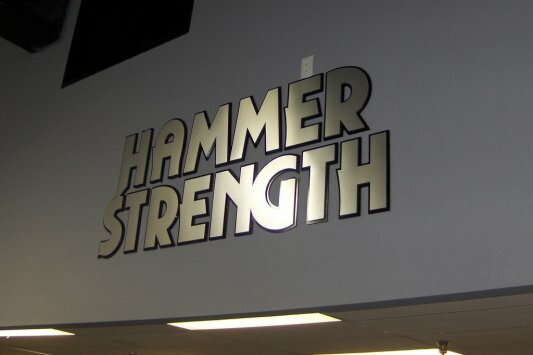 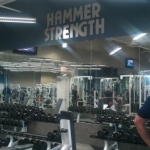 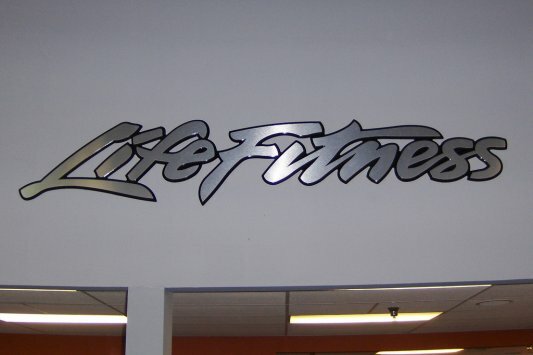 The Hammer Strength & Life Fitness letters were done out of black plexi and also cut on our large scale laser, with brushed aluminum vinyl faces. 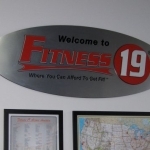 The interior Fitness 19 oval sign was created using various materials layered on top of each other to create a great dimensional sign.